This Package is a great option for the Intermediates and Advanced surfers. each day you will explore and search for an unforgettable surf of your life. 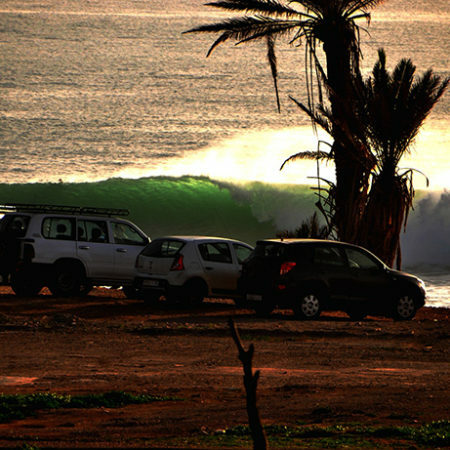 Morocco coastline known by kingdom of right hand waves very long and clean barreling waves great for intermediate and advanced surfers. our experienced local surf guide will drive by 4×4 surf transport to explore and search for an unforgettable moment of your life. so don’t waste any minute drop us a mail and ask for availability. An INTERMEDIATE rider is a surfer who can successfully paddle out alone at a familiar location and catch and ride waves to a logical finish frontside or backside, confidently using the three basic surfing turns – bottom turn, top turn and cutback. An ADVANCED rider is a surfer who can paddle out alone to a surf spot he/she has never ridden, assess the lineup, and catch and ride waves to his/her choice of finish, confidently using a full range of turns in a distinctive, effective style. To have a great surfing holiday it is important that you select the right package for your ability. Our newsletter is a summary of new offer feature highlights, links to things we find interesting, and other stuff. To subscribe enter your email address below. Если вы хотите получать наши спец-предложения и информацию об акциях, пожалуйста, оставьте нам свою почту ниже.